Lauren Brooke Cosmetiques is a new and innovative approach to makeup. We use the finest, natural and certified organic plant oils and extracts, soothing flower essences, plus beautiful minerals and pigments from the earth to create the most exquisite, healthy makeup available for your skin. Combined, these opulent ingredients have exceptional skin-softening, moisturizing and anti-aging abilities that help revitalize, rejuvenate, and restore your skin's vibrant glow. Why organic? Our skin absorbs up to 60% of what is applied to it. Most products today contain toxic chemicals, petroleum-based ingredients, artificial colors and fragrances, and harmful preservatives that are absorbed into your skin, clog the pores, and actually cause your skin to age faster! Organically grown plants have been found to contain greater amounts of vitamins, nutrients, and anti-oxidants than plants grown with pesticides. We believe your skin deserves the very best that Nature has to give. Our line of cosmetics and skin care products are purely natural and organic. No parabens, chemicals, or unnecessary fillers are used in the creation of our products. To provide women with truly natural and healthy beauty products and to empower women to embrace and celebrate their unique beauty. We have developed our healthy, natural and organic makeup line to not only enhance your natural beauty, but nourish your skin at the same time. At Lauren Brooke Cosmetiques, we have always believed passionately in providing our consumers with the finest, natural and certified organic ingredients to create the most exquisite, healthy makeup available for your skin without animal testing. Our company is Certified Cruelty-Free through both The Coalition for Consumer Information on Cosmetics (CCIC) Leaping Bunny program & PETA's Beauty Without Bunnies program! 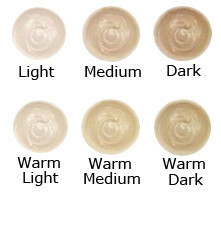 Our lightweight, all-natural foundation glides easily onto your skin, yet has incredible coverage and staying power. Protect your skin from the sun! 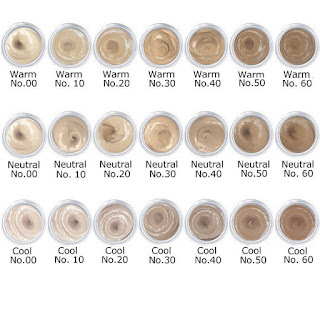 We have recently tested our amazing formula and found that our Creme Foundations are rated at 28 SPF! Lauren Brooke Cosmetiques Creme Foundation is the perfect full coverage concealer! This concealer glides over the skin with ease and blends completely. Lauren Brooke Cosmetiques Creme Foundation feels light on the skin and comes in many shades so you're sure to find one that's a perfect match to your skin tone. 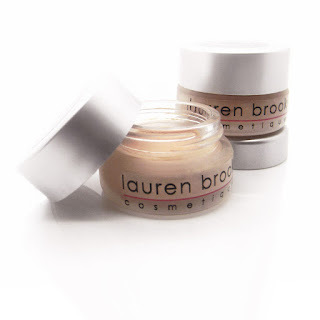 Lauren Brooke Cosmetiques Creme Foundation contains many ingredients that help to hydrate, restore and protect your skin. It's also rated at a 28 SPF so you don't have to worry about the suns rays damaging your skin. I love that Lauren Brooke Cosmetiques Creme Foundation contains no harsh chemicals and is cruelty free. I highly recommend this creme foundation! Lauren Brooke Cosmetiques Creme Concealer is a wonderful concealer! It goes on smooth and looks natural on the skin. I have dry skin so I love that this concealer moisturizes my skin, helping to minimize the look of my dry patchy skin. Lauren Brooke Cosmetiques Creme Concealer is a full coverage concealer so it conceals imperfections completely. With most full coverage concealers they feel heavy and sticky but I did not find that to be the case with this concealer. Lauren Brooke Cosmetiques Creme Concealer is much more than just a concealer. It contains skin healing and anti-inflammatory properties to help strengthen & support blemish-prone & problematic skin as well as anti-oxidant benefits to also fight off free-radicals. It contains Zinc Oxide to protect against UVA & UVB and Phytolipid Complex to moisturize, nourish and regenerate skin. I also love that Lauren Brooke Cosmetiques Creme Concealer uses all natural organic ingredients and comes in many shades so there's sure to be one that's just right for you. I highly recommend Lauren Brooke Cosmetiques Creme Concealer! Follow Lauren Brooke Cosmetiques on social media!